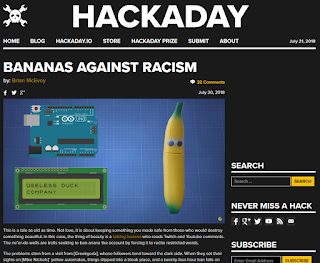 Hackaday got a tip about a builder, Mike Nichols, who made a talking banana robot to read comments from Twitch and YouTube. 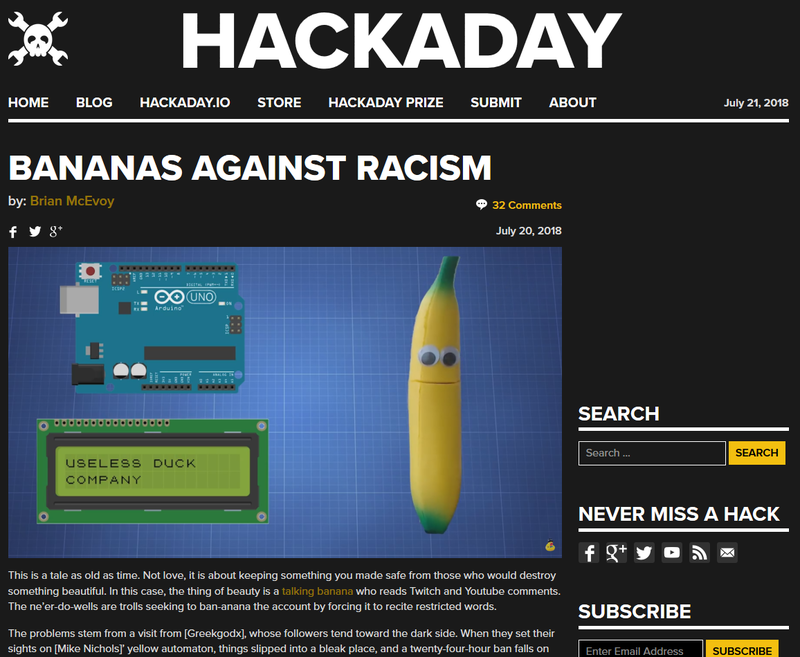 Racists started sending slurs for the banana to repeat which resulted in a ban. To summarize, trolls attacked a robot banana. This was too perfect of an opportunity to pass, and I pulled out all the stops to write an article dripping with wordplay. It was extremely fun to write, and I may do this again if another whimsical article passes my eyes.